Hello, my name is Adele and I’m mum to 2 boys Owen and Ben. My eldest son Owen was born with congenital Heart Disease and this is our story so far. I had a relatively straight forward pregnancy and worked full time until 5 days before Owen was born. I did have an extra scan at 35 weeks as the midwife was concerned Owen was small for his gestation, but was told not to worry everything else looked fine. Owen was born after a 6 hour natural labour and was a perfect 6lbs 1oz. I struggled to feed him myself and tried everything for the first 3 days whilst still in hospital. I was told he was a lazy baby and the midwife used to strip him to wake him up a little-I look back now and feel so guilty, but I was a first time mum who was just trying my best to feed my baby and following the advice of the midwives. After 3 days I gave up and we went home with Owen feeding better from the bottle. At home he was feeding well, although he used to cry and gag after feeds, but I couldn’t figure why until weeks later. At a routine G.P check up for Owen and myself the doctor said he could hear a heart murmur and was referring Owen to our local hospital Kings mill to get him checked out. Owen went for an echo a few weeks later and the paediatrician called us the next day asking us to go into clinic. I can naively say I still wasn’t too worried after constantly hearing that it was probably an innocent murmur. This is the day I felt my world had crumbled. Our Paediatrician later diagnosed Owen with Tetralogy of Fallots with Branch Pulmonary Stenosis. I couldn’t take it in, all I could hear were the words surgery whilst looking at my perfect baby boy. Looking back those first few days of diagnosis were definitely some of the hardest emotionally.I felt so alone. I didn’t know of any other children with heart conditions and felt very isolated. My family and friends were fantastic, but they didn’t understand-how could they? That’s when I found Heartline and got so much advice and support from other parents it was a huge help. 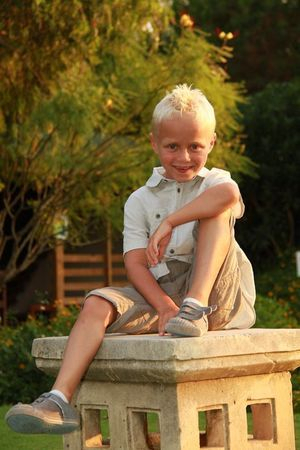 Owen was then referred to Glenfield Hospital where he continued to have regular checkups. 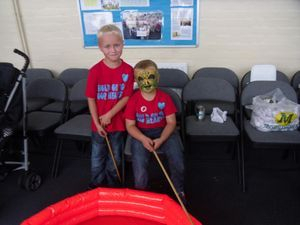 As time progressed so did Owen’s symptoms, he was showing signs of cyanosis, especially to his hands, feet and mouth and he got breathless as he got more active. 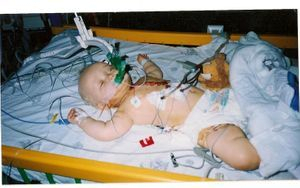 At 6months Owen had his first cardiac catheter, he had a few problems after this but was home a week later. Owen started spelling too which is common with his condition where he used to have crying fits and go floppy so he was then put on Propranolol medicine to help control the spells. Owen had open heart surgery aged 9 months to patch a VSD, widen his pulmonary valve and branch pulmonary valves. This was the worst and best day of my life. Obviously the worst part was walking down to surgery and leaving my beautiful baby boy, something I wished no other parent ever had to go through. The best was seeing him 7 hours later back in PICU and even though there were so many wires, machines, tubes I just felt relief he was back with us. Surgery had gone well and Owen’s recovery was smooth. He was out of PICU after 3 days and home after a week! He came home on his meds and had an amazing recovery. He was now pink and no longer breathless. Owen was doing very well heart wise and stopped all his medication 4 months after surgery. He struggled with low immunity and caught every bug going so spent a lot of time isolated either at home or back on the ward, but as Owen got older he got much stronger and things improved for him. He also struggled to gain weight and has been under the dietician for 5 years. I found this one of the most frustrating times! Nothing seemed to help him gain weight, but yet again as Owen has got older his eating has improved and although he is still underweight I no longer worry, he eats well and I have accepted that’s just the way he is. Owen was physically delayed for some time and didn’t walk until he was almost 2 years old. He was happy to bottom shuffle everywhere, but I often got comments like” he should be walking by now” or because his speech was so good but he couldn’t walk people thought he was very clever. Again as Owen got older he learnt to do things his way and eventually “caught up” developmentally and began nursery school when he was 3 years old. Owen has gone from strength to strength and is now a happy, typical 7 year old boy. He struggles sometimes physically at keeping up especially whilst swimming and running, but he tries hard at everything and we are very proud of him. Owen has regular checkups to monitor his pulmonary and tricuspid valve regurgitation and he will need further surgery to replace his pulmonary valve. As a family we have always been open with Owen, telling him all he wants to know which is getting harder to explain as he is getting older as we don’t want to worry him yet we want to continue with being as open as possible with him. I now have many friends that have children with heart conditions that advise me J . Not a day goes by where I don’t worry about what the future holds and I know this is something every heart parent feels, but right now my son is a happy little boy loving life and I couldn’t ask for more than that. The world of CHD is one big roller coaster with many ups and downs, but my life is richer for being part of it. I have met some amazing people, made many new friends and been privileged to meet so many inspirational children.